The following maps show 1996 to 2006 traffic counts on Twin Cities freeways, major expressways, and state highways. 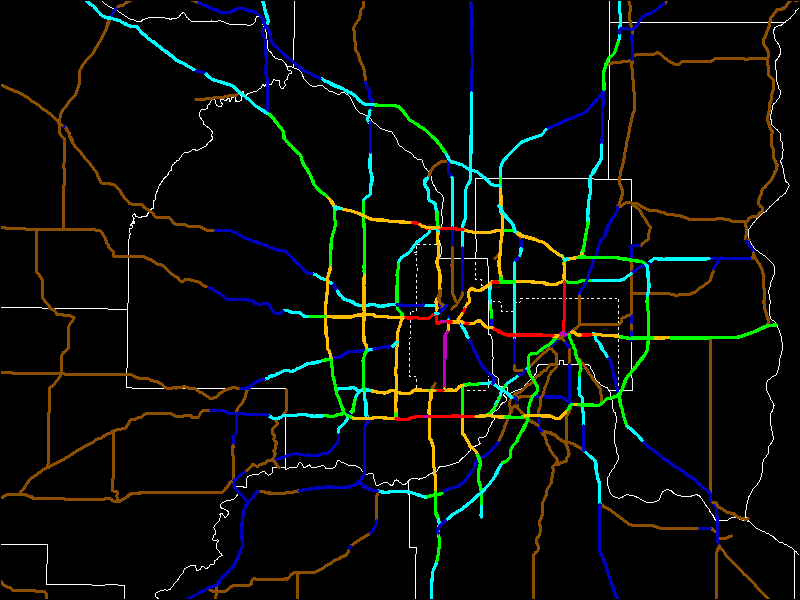 As you can see, the busiest sections are between the downtowns, south of downtown Minneapolis, and parts of I-494 in Bloomington. 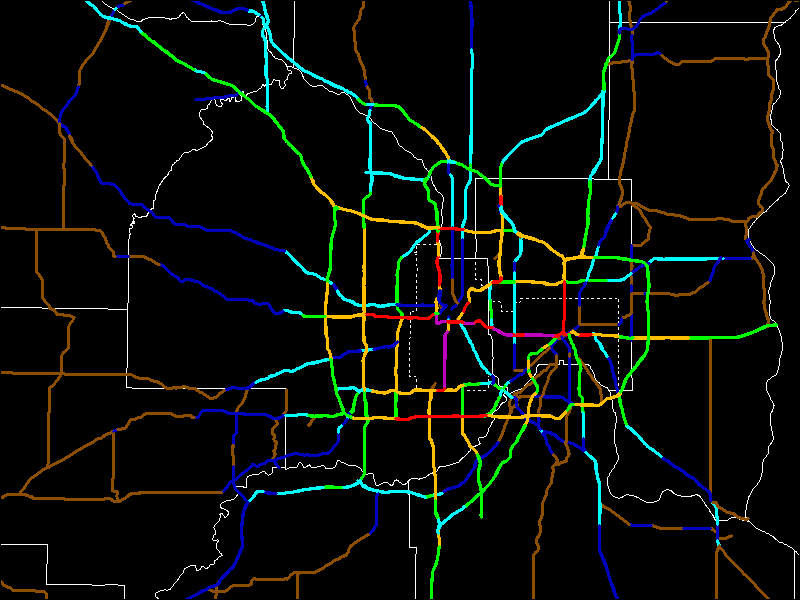 Click here to go to my suggested changes (Interstates). Click here to go to the non-Interstates. Click here to go to maps of the current system and my suggested changes.